Amazing speech. You can watch it here and read or listen to it here. Read the rest here and watch it all here. It was a beautiful, stirring speech with tremendous depth. 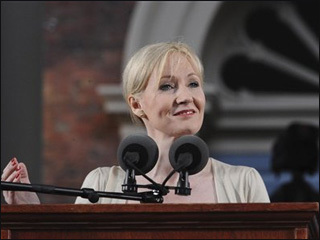 Giving that kind of address at a school like Harvard just underscores the fact that Rowling is an amazingly talented writer whose works will be examined for decades and more.